He has many names. The Raleigh Giant. Big Man. Paint-Can Man. Muffler Man. 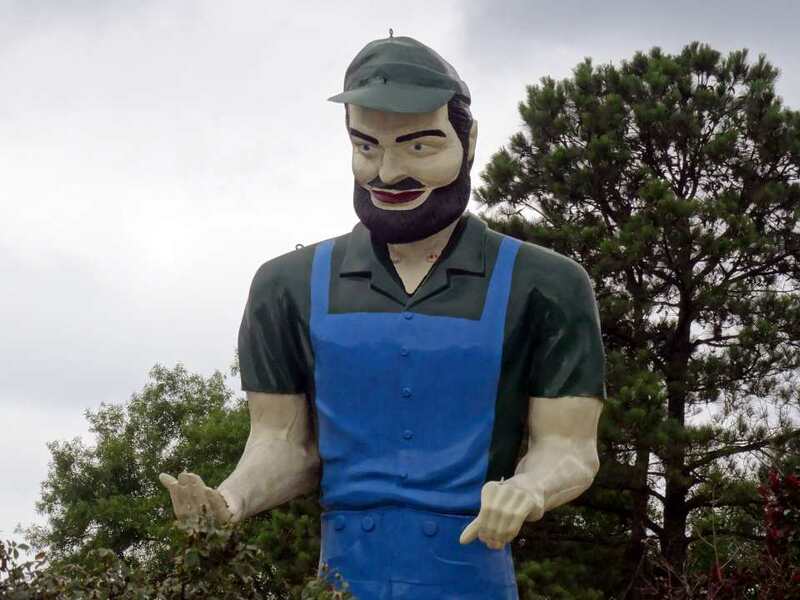 Ever since I was a kid, I loved riding out into the country and seeing the mysterious giant statue looming over the passing cars. I imagined how he might come to life at night and explore Raleigh or protect our city from Godzilla. Mom always pointed him out to me. When she was a kid, the Raleigh Giant stood outside a business on Downtown Boulevard, holding an oversized paint can. However, when she first spotted him off 401, she didn’t recognize him as the same statue who’d once acted as the Giant Decorator. In fact, if you read the comments on Roadside America, the Big Man has a variety of legends. Some people have reported the existence of more than one giant, and conflicting locations are listed on the website. 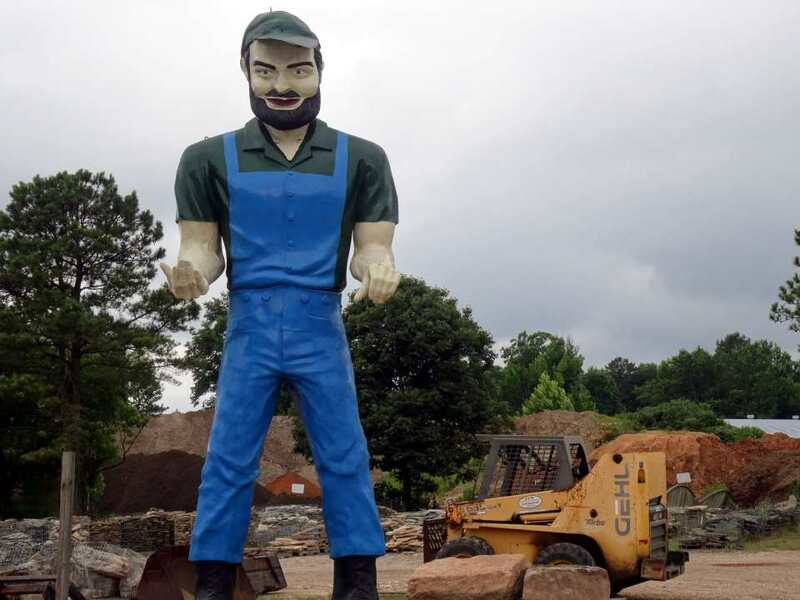 During its construction, many locals feared that I-540 would force the Raleigh Giant to migrate, while other people argue he was never in any danger. He moves around, and his appearance sometimes changes. Despite his size, our giant can be difficult to pin down. People are always searching for him, even questing from out-of-state just to see his mighty visage. As a stroke of destiny, he ended up with the Bradsher family after being retired from his role at Giant Decorator. 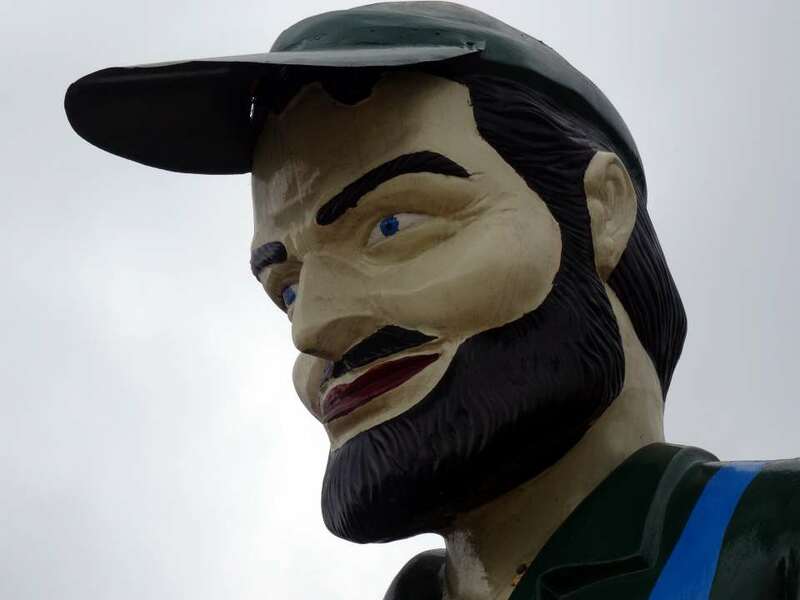 He gained fame as a highway attraction, but he’s been harder to find since the family sold their farm. Hint: He’s on Overlook Drive now, at Bradsher Landscape Supply, off Gresham Lake Road. 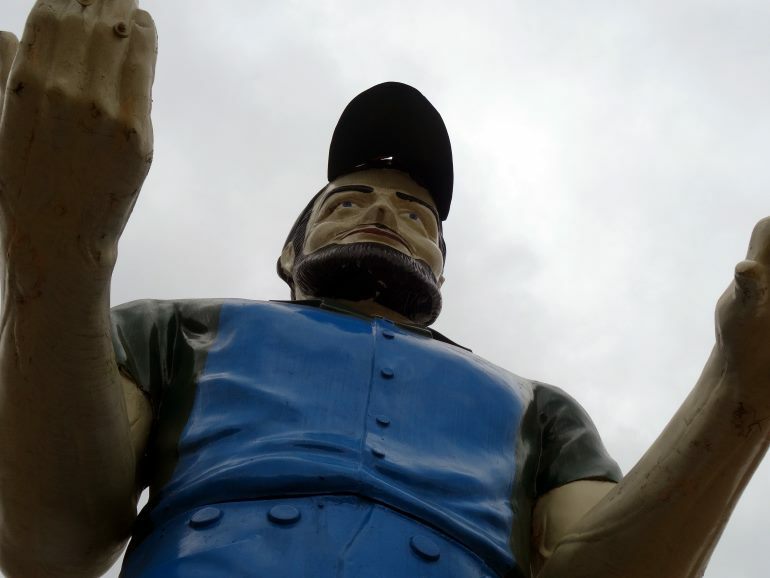 Like Paul Bunyan, the Raleigh Giant is the center of many tall tales. According to the Midtown Raleigh News, he wrestled with a tornado, lost his head, and survived. They just screwed his head back on again. When evil vandals stole his right arm, he didn’t even whine. He just moralized with them until they gave it back. He wrangled I-540 to make circles around him so he wouldn’t have to move. And the conflicting reports of “other giants” were just him, moving around town so fast no one even realized he left his post. He’s also a bit of a fashionisto, as any quick google search will show. Every so often his owners paint a new outfit on him, which may be part of why people don’t always recognize him. As it turns out, he has brothers and sisters across North Carolina. 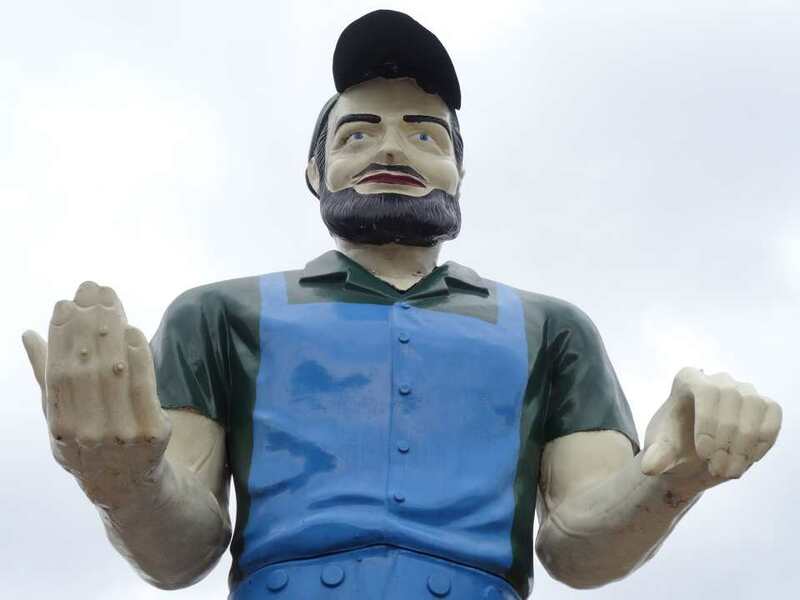 Before writing this slice, I’d never researched Muffler Men, but they are a series of similar giants all across America, used for advertising. People even go on road trips to try and see them all. However, having never heard of this fad, I was surprised to see one on the highway to Charlotte. And my mom discovered a giant pirate at the beach, too, which isn’t even listed on Roadside America. 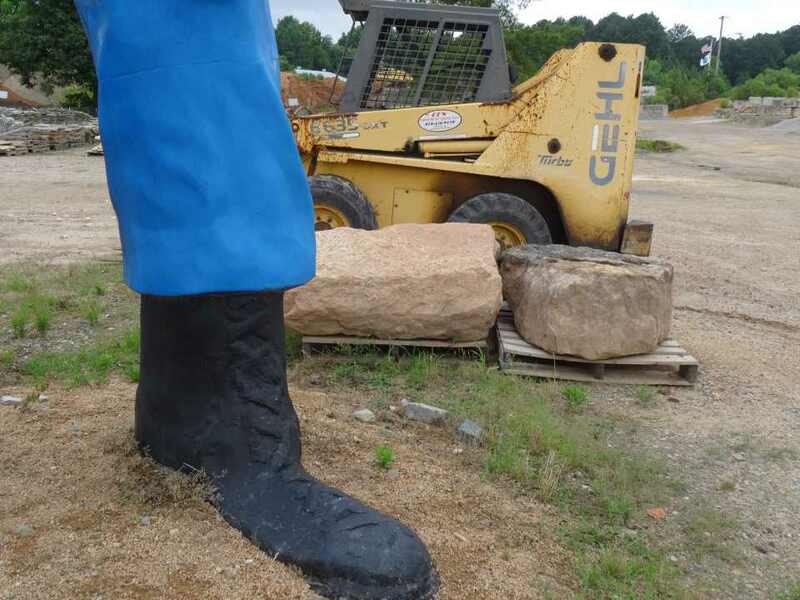 Wilson and Rocky Mount also have their own giants. We went to visit him this weekend, and he was kind enough to model for our photo shoot. 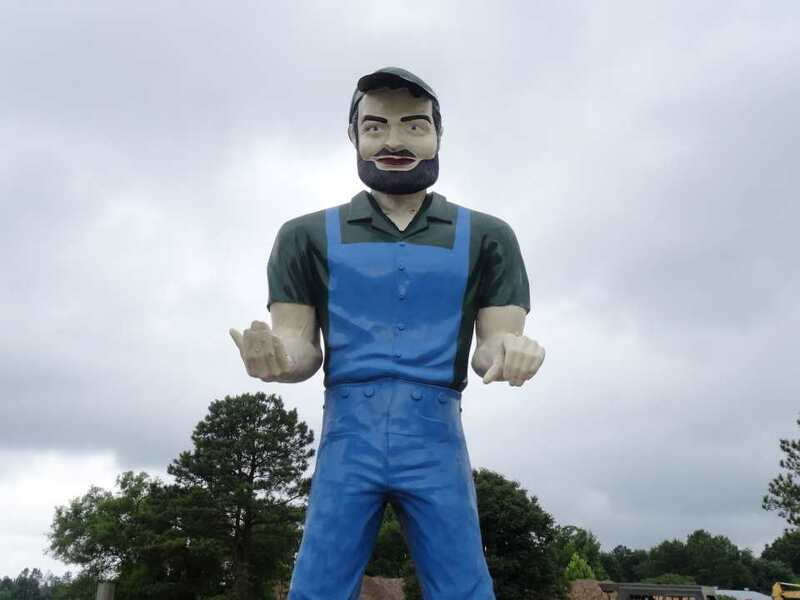 Those of you who have lived in the area for a long time, do you remember seeing the Raleigh Giant growing up? 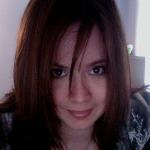 We’d love to share some old pictures of him! Do any of you have any of your own stories about seeing him for the first time? Our local giant has seen several decades of growth in Raleigh. My mom saw him as a child, then shared the experience with me. One day, will I be driving by to show him to my kids? I wonder where he’ll be standing then.